SmartView is a proprietary patent-pending investment analytics platform developed by CRD Analytics that distills large sets of complex financial and extra-financial data to produce complete, relevant and actionable information for investors and executive decision makers. 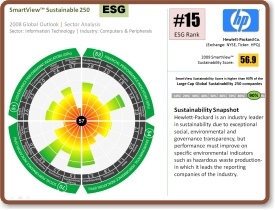 SmartView constantly screens and filters its database of over 5,000 global companies to produce a public company’s Sustainable Performance Value -- the company's relative risk-adjusted score based on total financial performance combined with environmental, social and governance (ESG) performance. SmartView utilizes over 200 metrics in its scoring methodology. Through extensive statistical analysis and testing, the system has determined the Metrics that Matter. SmartView uses metrics that show a strong correlation with performance and improved shareholder value. The SmartView platform was one of the first systems to use the Global Reporting Initiative (GRI) G3 guidelines in its index methodology to publicly list the NASDAQ OMX CRD Global Sustainability 50 Index (QCRD). Since its inception, the GSI-50 index has consistently outperformed the broader market. CRD Analytics is an independent provider of investment analytics. The company’s rigorous evaluation of financial, social, environmental and governance data is used to quantitatively determine the potential sustainability of a company, industry sector or investment portfolio, allowing for informed investment decisions and delivering optimized, risk-adjusted sustainable performance. Greening Point is a member of the CRD Analytics Preferred Partner Network. CEOs, CFOs, investor relations executives and sustainability executives all need to understand how investors and the public rate their companies -- and how to improve those ratings. 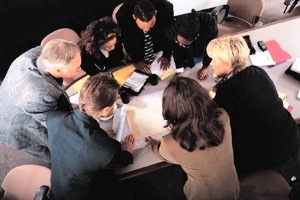 SmartView™ reports and workshops provide an answer. Sustainability-focused companies often financially outperform their peers by a substantial margin. Public companies are investing in sustainability not only because it's the right thing to do, but also to lower costs, reduce risk, enhance reputation and foster innovation. The result: better business performance and higher stock prices. Regulatory agencies are becoming increasingly concerned with sustainability issues, from EPA carbon regulations to SEC reporting guidance. The SmartView reports and workshops provide another tool for improving organizational readiness. The SmartView reports offer essential information and insight for public companies and portfolio managers. The SmartView Sustainable Performance Value score based on a comprehensive set of financial and extra-financial metrics. Values are calculated based on the average score across the following four categories: Financial, Environmental, Social and Corporate Governance. Data is presented in several visual formats; table lists, bar charts and gauges, with comparisons across sectors, industries, peer groups, geographies and market capitalization sizes. The SmartView Company Focus Report provides rich detail about your company while the SmartView Industry Benchmark Report provides context for your industry sector with comparative analysis. The two reports combine to provide an essential management tool to understand how and why your company is positioned with respect to green investors and sustainability practices. A workshop in-person delivery option is available. The most advanced option is the Investing in Sustainable Performance Workshop. This includes all the benefits of the Industry Benchmark and Company Focus Reports for your company plus a customized expert in-person private workshop delivered for your managers or executives. Your team will learn firsthand how the best practices and metrics that matter can be applied in your company. The Workshops are conducted in New York and San Francisco. Other locations by special arrangement. Unlock a wealth of information about your company or your investment portfolio. To select your SmartView report option or to learn more, please contact us today.